Renowned Polish actors Piotr Cyrwus and Szymon Ku?mider from Teatr Polski in Warsaw bring The Emigrants, a dark comedy by S?awomir Mro?ek, to the Odyssey Theatre for three performances on March 25, 26 and 27, presented by the Consulate General of the Republic of Poland in Los Angeles in association with Modjeska Art and Culture Club and Odyssey Theatre Ensemble. Performed in Polish with English subtitles, The Emigrants explores themes of individual power and freedom from the perspective of two characters, an intellectual and a laborer, who have fled their unnamed European country in search of both. The Minneapolis Tribune called the play "a political philosophical discussion of modern life skillfully wrapped in a comic package," while The New York Times found it "a provocative political document and stimulating theater." S?awomir Mro?ek (1930-2013) is considered one of the greatest Polish dramatists of the 20th century. His theatrical works belong to the genre of absurdist fiction, intended to shock the audience with non-realistic elements, political and historic references, distortion and parody. As one of the leading satiric writers of Europe, Mro?ek's work targeted political and economic systems. An outspoken critic of communism who vociferously condemned Poland's part in the Warsaw Pact invasion of Czechoslovakia, he emigrated to France from his native Poland in 1968. British journalist Nicholas Lezard called Mro?ek's absurdist parables "by turns hilarious, unsettling and enigmatic." A year prior to his death, a frail and fragile Mro?ek returned to Poland for a short time on a book-signing tour; he was greeted by large crowds of young people, to whom he remains an important and exemplary voice. His most famous play, Tango, is considered by many to be a modern-day Hamlet and has been performed in many Western theaters and by Britain's Royal Shakespeare Company. Both Cyrwus, who also directs, and Ku?mider hold MAs in Acting from the Ludwik Solski State Drama School in Cracow and were members of the Helena Modrzejewska National Stary Theatre in Cracow. Each has over 150 credits in theater, radio theater, film and television. Cyrwus has been a member of the Arnold Szyfman Polski Theatre Ensemble since 2011, and Ku?mider has been with the company since 2012. Three performances of The Emigrants take place on Wednesday, March 25; Thursday, March 26; and Friday, March 27, all at 8 p.m. Tickets are $20 for general audiences and $12 for students with valid ID. 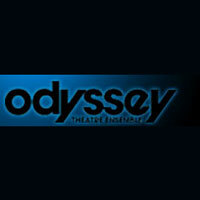 The Odyssey Theatre is located at 2055 S. Sepulveda Blvd., West Los Angeles, 90025. For reservations and information, call (310) 477-2055 or go to www.OdysseyTheatre.com.